Two independent drug distribution investigations, conducted by the New Hampshire Attorney General’s Drug Task Force and the Keene Police, culminated on the same day with arrests. Arrested was David Bolton, 22 of Cedar Terrace, Winchendon MA. During the late afternoon on Thursday, September 15th, 2016 Bolton was arrested after coming to Keene from Massachusetts. He was taken into custody without incident and held in lieu of $5,000.00 cash bail at the Cheshire County Jail. He was arraigned before the Cheshire Superior Court on Friday, September 16th, 2016 and bail set at $5,000.00. The current charge filed is for a violation of RSA318-B:2 (Conspiracy RSA629:3), for the crime of Sale of the Controlled Drug cocaine to a subject cooperating with the New Hampshire Drug Task Force for a sum of $3000.00 in U.S. currency. Also arrested on Thursday afternoon was Jeanine Molella, 24, of Portland, ME. Molella was arrested after coming to Keene from Maine. She was taken into custody without incident and held in lieu of $10,000.00 cash bail at the Cheshire County Jail. She was arraigned before the Cheshire Superior Court on Friday, September 16th, 2016 and bail set at $10,000.00. 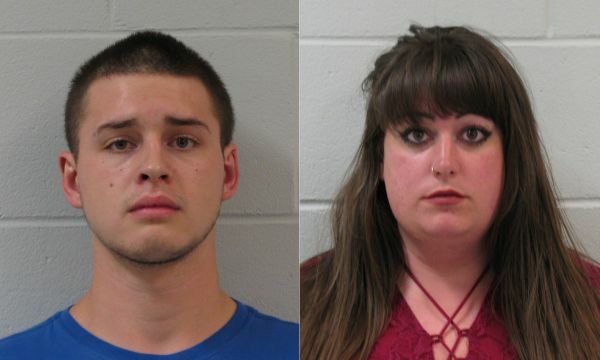 Currently, three felony level charges for the crime of Sale of a Controlled Drug MDMA, Psilocybin Mushrooms and LSD to a subject cooperating with the New Hampshire Drug Task Force.